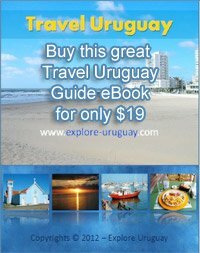 Travel to Uruguay can be done by boat or plane. The prices and schedules of these will all vary so you will definitely need to find out as much as possible about your various options. After all, in order to vacation in Montevideo you will first need to decide how you are going to get there. Airline travel is the most popular option. This makes sense because of the wider choice of arrival and departure times, yearly schedules and very affordable tickets. Even those who live in other closely connected South American nations will often choose travel by air to Uruguay over other travel options. The milder climate, rainforests and beautiful beaches found in Uruguay mean that there are always wonderful outdoor adventures to enjoy no matter when you may be traveling to Uruguay. With the hectic work and family schedules that are now so common it is a good idea to make plans that include the shortest amount of actual travel time. For this reason travelling to Uruguay by air will be your best choice because the less time you spend en route to this country, the more time you can spend soaking up the culture and enjoying your stay. American Airlines, Iberia LAN and TAM are some of the leading airlines that offer travelers a convenient and fast travel option when they want to visit Cities in Uruguay such as Punta del Este. For those visitors travelling to Uruguay from the United States American Airlines will happily discuss possible schedules and prices that will meet their needs. LAN is the South American airline that US customers may wish to choose. This large airline company also can fly tourists to Uruguay from major airports in Australia, Canada, Europe and Mexico. The largest airline companies that with travel routes that include arrivals and departures in Uruguay are TAM Linhas, and American Airlines. However there are a number of other options to consider. These include flights on airplanes fielded by the Condor, PLUNA, GOL, TACA, Lufthansa, TACA and the Aerolinas Argentinas companies. LAN airline flights have become extraordinarily popular as a travel choice for South American locals as well as tourists. You will discover that the company has many flight options from which to choose, including some to Argentina, Peru and Ecuador; and the cost is very affordable. There are online sites that will help you locate the best prices for your tickets whenever you are setting out on trip that includes exotic travel to Uruguay destinations. This can help you design a personalized travel itinerary while keeping a close eye on your travel dollars.